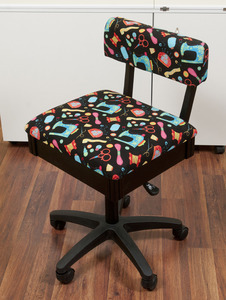 Our Hydraulic Chair is a perfect accessory for any craft and sewing room. 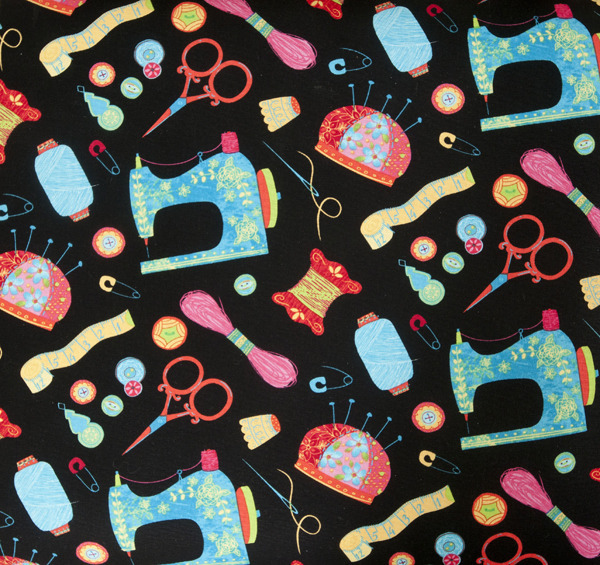 The chair’s vivid heavy-duty Riley Blake fabric features a Sewing Motif a black background on a black chair frame that is sure to match any décor in your craft room. Our chair features 5 casters on a star base for greater movement at your sewing cabinet or crafting surface. 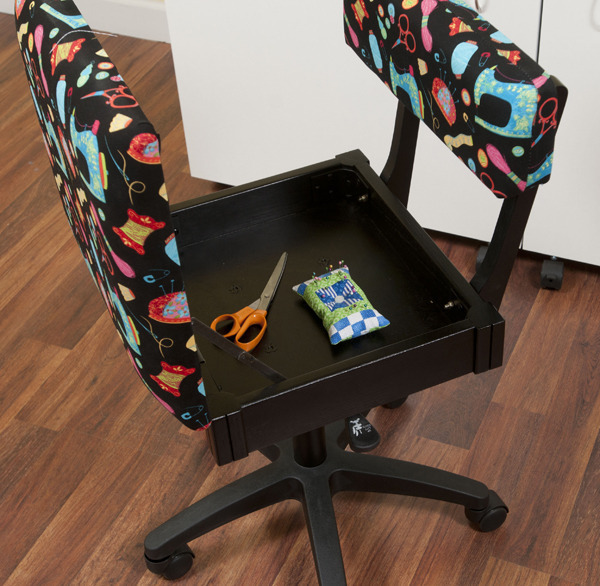 Lift the seat cushion up to reveal a hidden storage compartment for your small notions or patterns. Requires a standard screw driver. Includes easy-to-follow directions and a helpful toll-free phone number! I absolutely LOVE my sewing chair. What an asset to my quilting/sewing room. I am 5'2" and the chair gives me the height I need for quilting. No more stacking pillows like I had to in my previous sewing chair. The quality and appearance is extraordinary.